We’ve shown you quick tips for getting Windows, OS X, and Android running that little bit faster, and now it’s time to tackle the iPhone. If your iPhone is showing signs of sluggishness, here are a couple of quick fixes to put a spring back in its step. These tricks are fast, free, and easy to do. As on every other platform and device, the more apps and files you have cluttering up storage space, the harder the OS has to work. Keep the number of local apps and files down to a minimum, and you’ll quickly see speed improvements. Just make sure if you’re deleting important files (like photos) from your iPhone that you have them safely backed up somewhere else first. With more vacant internal storage space to work with and fewer apps to look after, you should see snappier performance and improvements in battery life too. In some apps, such as Safari, you can clear out cached data without uninstalling the entire app (in the case of the iOS web browser go to Safari in Settings to find the relevant option). Giving apps the ability to refresh in the background will make them quicker, because they pull in new data when you won’t notice. If a lot of apps are constantly running in the background, though, your phone’s performance can take a hit. You can modify what apps are able to refresh in the background through the Background App Refresh option under General in Settings. This is different to the process of fully closing apps from the multitasking screen in iOS (via a double-tap on the Home button). Closing apps can be useful when you’er trying to troubleshoot problems and fix bugs, but it won’t impact the speed of your phone (according to Apple). iOS will automatically bump apps out of memory when it’s needed for something newer. 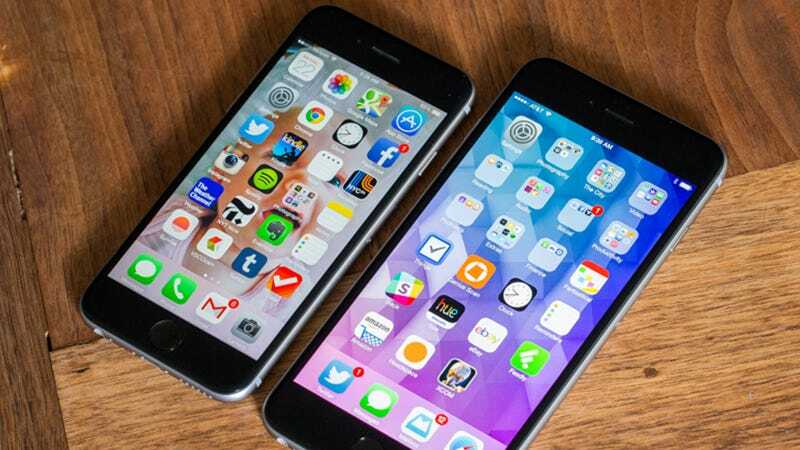 If your older iPhone is struggling to run the latest and greatest version of iOS, then you can turn off some of the visual flourishes in the operating system to get back some speed on your aging handset. From the Settings app, open up the General page, then choose Accessibility: tap Increase Contrast and then toggle the Reduce Transparency slider to the on position. Go back to the previous screen, tap Reduce Motion and then toggle the slider you find there to the on position as well. When you exit Settings you won’t have the fluid animations and subtle transparency effects in iOS any more, but you might find your phone feels a little faster. On the newest iPhones it’s less likely to have any impact. As on Android, the best way of blowing the digital cobwebs off iOS is to simply wipe everything and start again from the beginning. You may associate factory resets with troubleshooting stubborn problems, but if all your data and files are safely stored in the cloud, then there’s no reason why you can’t run a restore every now and again. Obviously, back up everything before you get started, via iTunes or iCloud or any other service of your choosing. The erase option is available under Reset in the General page of Settings, and when it’s finished you can restore your backup. Alternatively, set it up as a new iPhone and sign in with your iCloud credentials to restore your apps one by one.